Comiket is war. Anyone without a mission, without a strategy, will accomplish nothing on this battlefield. 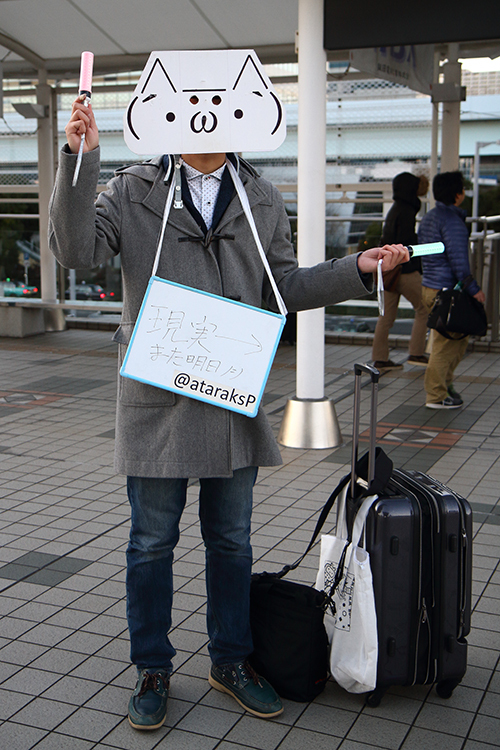 After C84 with Arvin back in 2013, I certainly was raving to go for another one, so when I finally got another opportunity, I went back to Tokyo once more – for C89. 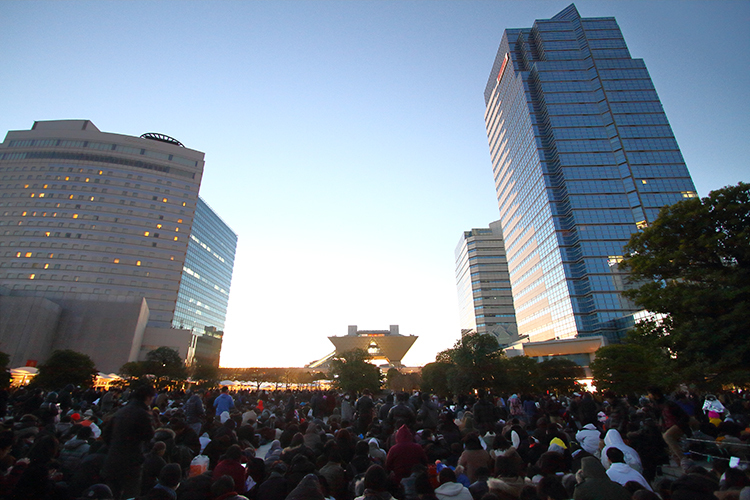 I cannot emphasise enough how big Comiket is. If you’ve been to one before, you’ll know. If you haven’t, it’s unimaginable. 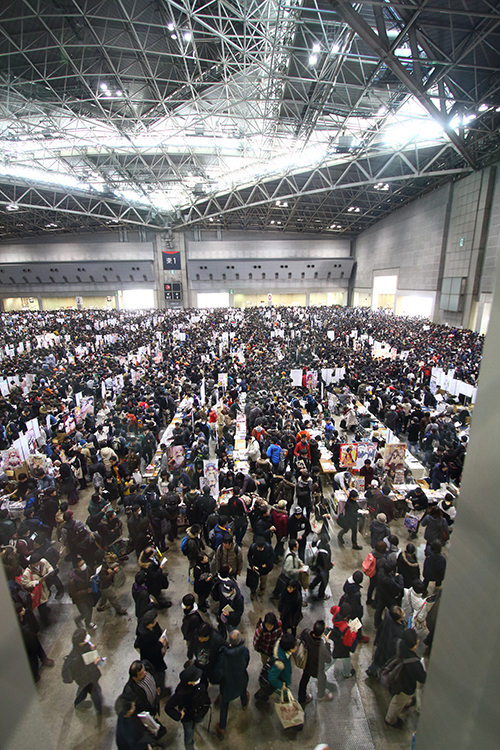 Even my memory of C84 had gotten kinda hazy and I was still amazed at how large it was this time. For comparison, take US’s largest similar convention: New York Comic-Con. They have over 170,000 attendees over 4 days. 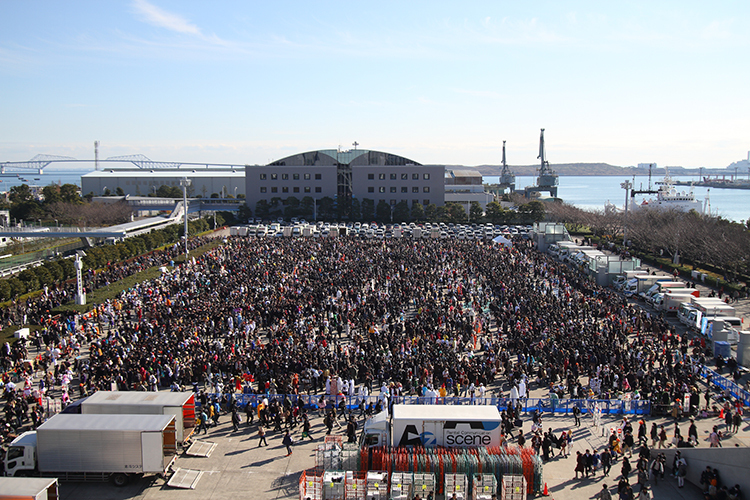 At Comiket, a single day has more attendees than Comic-Con for all 4 days, totaling at over 590,000 over 3 days! And these are only the attendees who queue at the opening. Those arriving after noon are not counted. 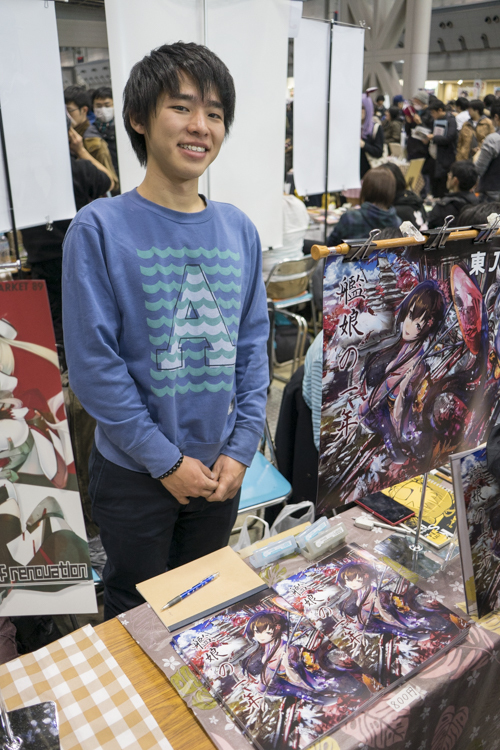 Back in C84, I didn’t care much about doujins and circles, and just went for the commercial booths. My Japanese was quite bad, so I couldn’t understand much even if I did buy doujins. But this time, I upped my level, and really prepared for war. Before flying to Tokyo, I had already met up with a group of friends to discuss our plans, routes, and strategies. We had a Facebook chat group and a Whatsapp group for communications as well. The only level up from here is to queue overnight, which is what one of my friends did. You have to be prepared though. This is winter, with temperatures around 4C or lower in the middle of the night. Summer is easier, and that means more people queue overnight too. This marks the tail of the line. It takes skill to find this fast! 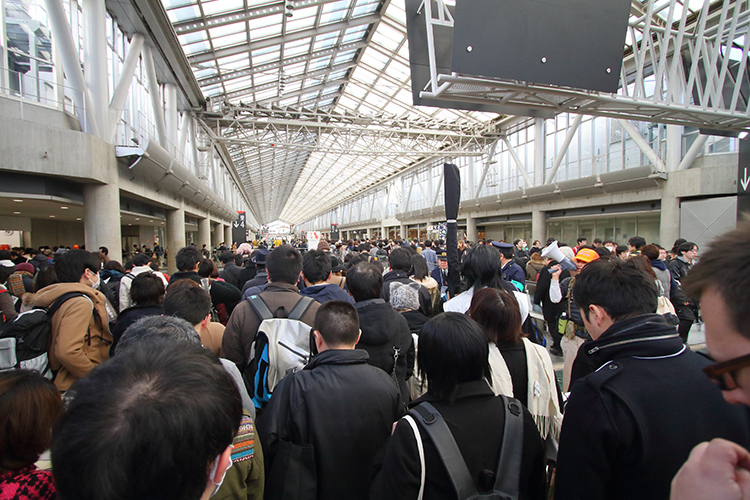 Queueing is almost like what Comiket is made out of. You do that for everything – from getting in, to buying your stuff, to use the vending machines, toilets, everything. And usually, from the tail of the queue, the head is not visible, and vice versa. This can leave people confused as they search for the tail to join the queue. No doubt, with experience, this gets easier. 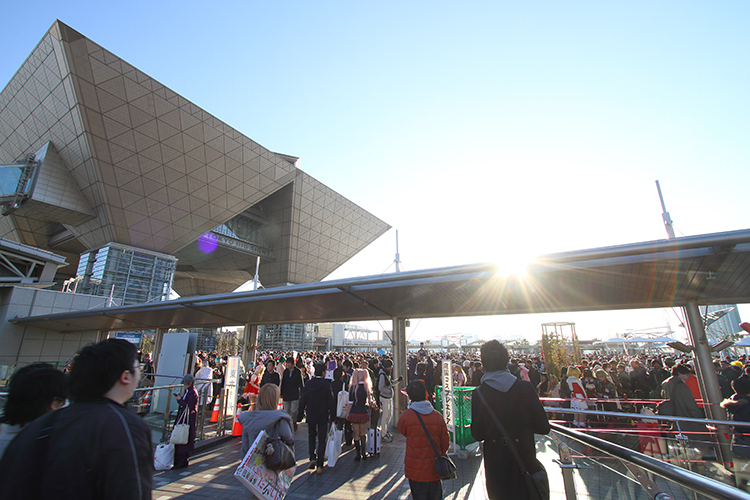 This year’s comiket was divided into (mostly) Day 1 – BL (and Gundam), Day 2 – Kancolle, Touken Ranbu, and Touhou, Day 3 – iM@S and LL!. I was targeting the commercial booths, Kancolle, and iM@S, so this was pretty much perfect scheduling. The people who arrange these things are very knowledgeable about the fanbase and content, so they try their best to schedule it such that most people can get what they want. Multiply this view by exactly 10 times for the total indoor crowd at any time. 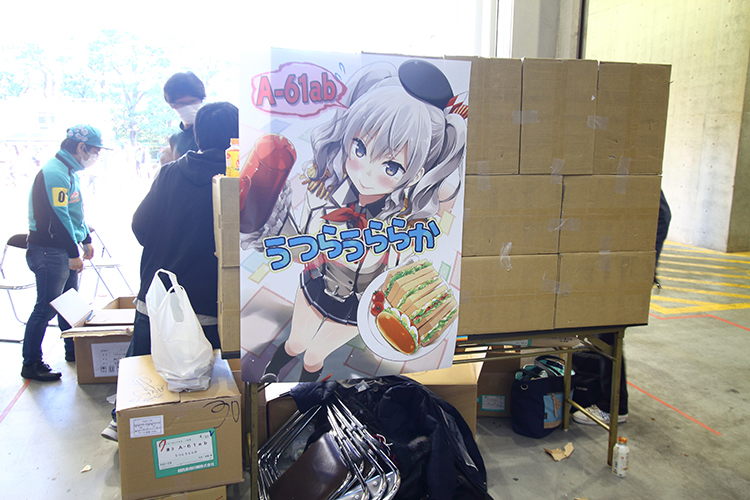 These are the volunteers of Comiket who help things run really smoothly. 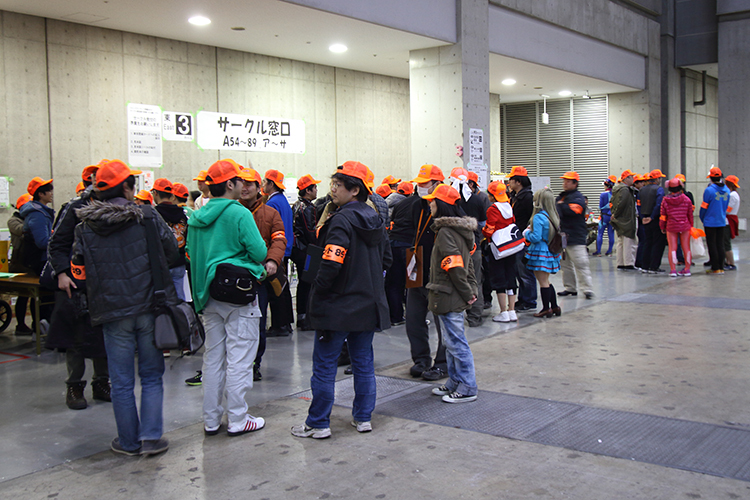 There are 3,500 of these volunteers who help out on minimum 2 of the 3 days in Comiket. I asked my Japanese friend, and he said that all these people get is a free Comiket catalog (worth ￥2,500), a free meal, and get to keep their hats and armbands. That’s it! 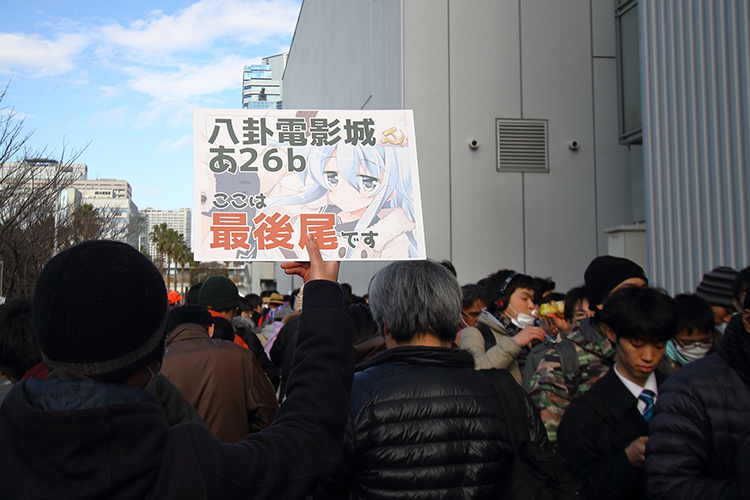 And yet, each Comiket has more applications for volunteers than they accept! So why would they sacrifice being able to buy stuff? Well, apparently these volunteers have enough connections that they can get what they want from their friends. Day 1 booth Utsura Uraraka (A61ab), by Eretto sensei. Sold out! A doujin circle from Singapore! Circles not from Japan can be found participating in Comiket. I did come across several from China as well, and they sell good stuff too! 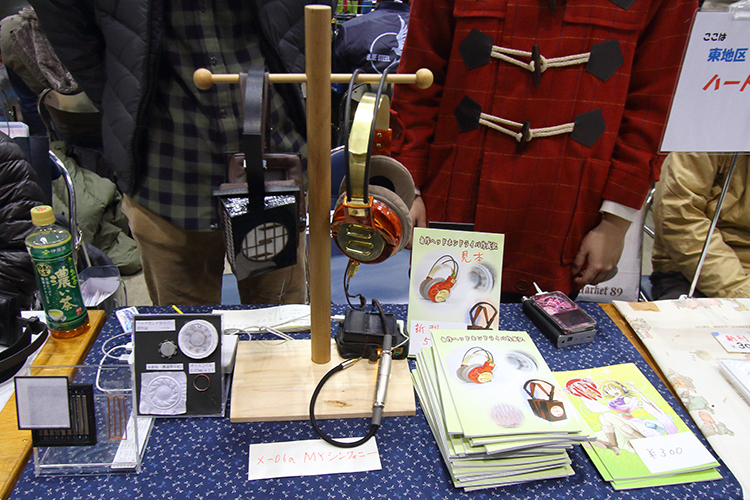 HAL900 (circle name) selling home-made headphone drivers. It can be hard to find your cosplaying friends here! Gochiusa, short for Gochuumon wa Usagi desuka? (Is the Order a Rabbit?) is the biggest thing in Akihabara currently, and I was glad to be able to find a full cast of cosplayers here at Comiket! 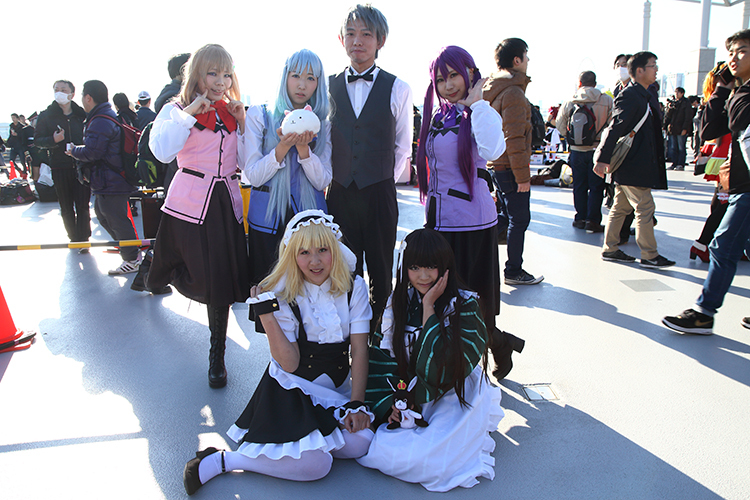 If you’re looking for more cosplay pictures, check out our C89 Facebook Album! 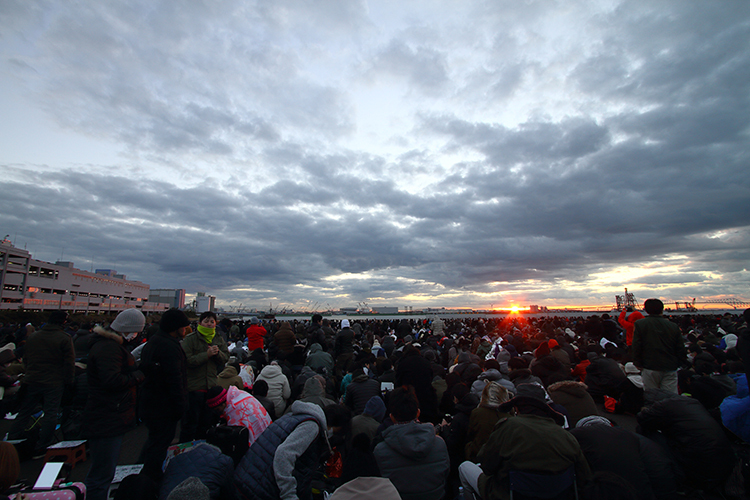 The spirit of Comiket is meant to be a community thing, as you might find in the official brochure and website. There are no “customers”, but only participants. This is something everyone understands. And while it gets really crowded and disorienting, the whole convention proceeds in a very orderly fashion. Even during one incident I witnessed where a cosplayer wasn’t happy with the way someone was photographing her (rather *ahem* angles) and things got a bit heated, everyone helped to ensure that the photographer didn’t run away and a staff member was called to help. The photograph was deleted, and all was alright. “Reality, this way ->” is what the sign says.